Beware! The free VPN Android may risk your online security. Secure browsing is the upshot for corporate firms, and even individuals today. Threats in the cyberspace have increased manifold. Most of the organizations use private networks to keep themselves protected from the threats. You can get a Free VPN Android on your device to secure your browsing. However, you may risk your online security and privacy. Opt for Le VPN’s Android app and be 100% secure while browsing the internet. Lately, certain malware is stealing user credential through Facebook Messenger. They steal cryptocurrency data from the users. These programs have been designed to intrude into the messaging app and send various video files to the users. By clicking these links, their information gets stolen by the malware. The best way to remain safe from these threats is to opt for reliable VPN service from Le VPN. These virtual proxy networks keep the users secure through secure browsing. Most of the mobile users use Android phones today. However, choosing a free VPN Android may not be a good choice. Get the Le VPN’s fastest VPN to keep your data secure. 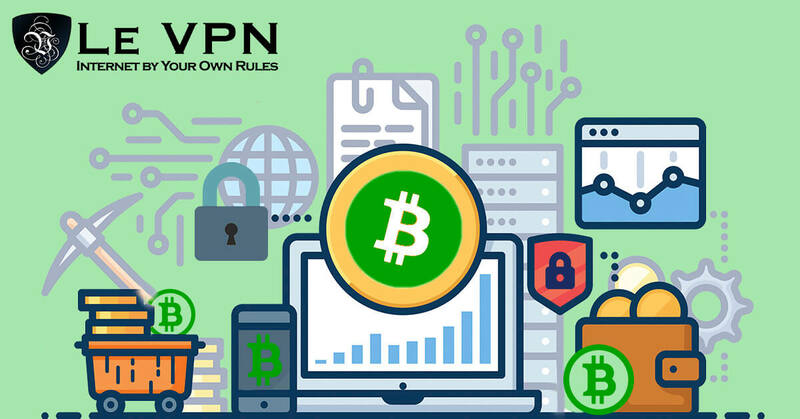 If you are investing in cryptocurrency, you should get adequate security measures to keep your network secure. The connection of your device gets encryption when you pick free VPN Android. Regardless of where you are, you can enjoy secure browsing on the protected network. But, this security may not be 100% with the free VPN Android. Android devices are prone to malware attacks, especially when they get connected to public Wi-Fi connections. When you integrate it with the VPN, it remains secure against these threats. It will keep all your sensitive data safe on your device. The spyware applications are targeting the investors, who put their money on cryptocurrency. Simply protect yourself using the Android software from Le VPN and enjoy secure browsing. Whereas, if you pick Free VPN Android, your online activity can be tracked. That too without your knowledge. Most of the internet users have their accounts on social media. Hence, the cyber attackers target the users through these platforms. Whether you are using Messenger or other apps, you need to keep your credentials protected from malware threats. Apart from maintaining your privacy, you will also be able to enjoy the vast plethora of online content reserved for other countries. Simply get the VPN Android software from the reputed service provider Le VPN, and strengthen your internet security. Additionally, Le VPN’s subscription is not costly at all. Grab Le VPN’s great deal. Get 2-years of VPN service for $69.60, and enjoy secured internet browsing!